1 packet of puff pastry cut in half lengthways. Roll each half about an inch wider. 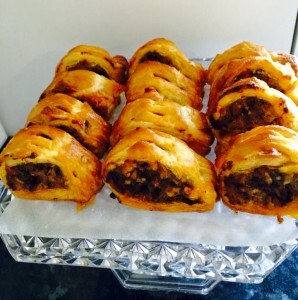 Place a roll of sausagemeat on one strip of pastry, brush beaten egg along one edge, fold the pastry over & seal. Divide into 12 individual rolls. Snip two 'V' shapes on each roll with scissors. Place spaced out on a baking sheet & brush with beaten egg. Bake in a preheated oven at 200* for about 20-25 mins. 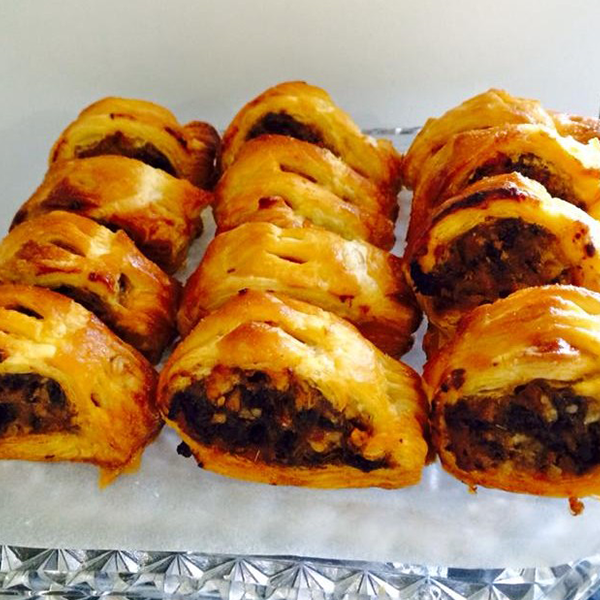 You can make with about 125g British black pudding or leave it out altogether & just have the sausagemeat filling. 🐰 This Sunday: We’re going on an Easter Egg Hunt! The Sidings N21 has handpicked the best, most hardworking traders to let them showcase their local produce and get a fair price for it! But we are more than just that. The Sidings N21 is a purpose-built market that looks after the interests of the local community in Winchmore Hill and is owned by people focusing on bringing a wide variety of quality produce to everyone in the local area. © 2014 The Sidings N21.